What is the most amount of games a side has lost and still won the title? Is Manchester City striker Sergio Aguero the first player to score back-to-back hat-tricks at home in the Premier League? Martin knows. 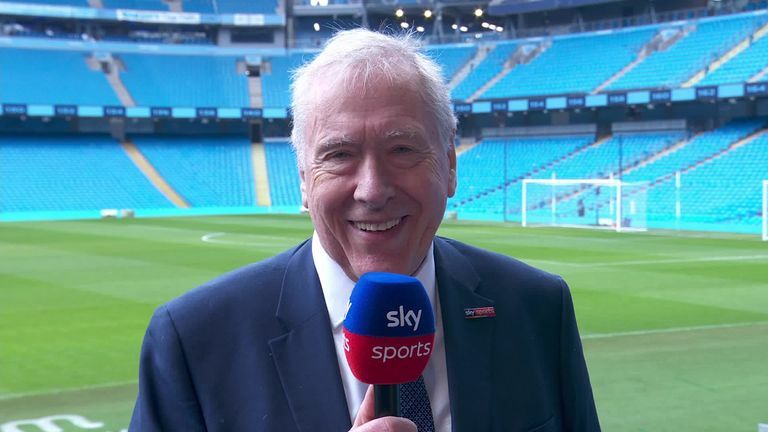 The Sky Sports commentator has the answers to those questions and more in his weekly stats column, and don't forget to try his tricky teaser in the video above. Sergio Aguero now has 15 goals in 18 games in his career against Chelsea, while his 11th Premier League hat-trick equalled Alan Shearer's record and it was his 15th hat-trick for City. Meanwhile, the striker's penalty record is now 23 out of 27 in the Premier League and 36 out of 45 in all competitions for City. 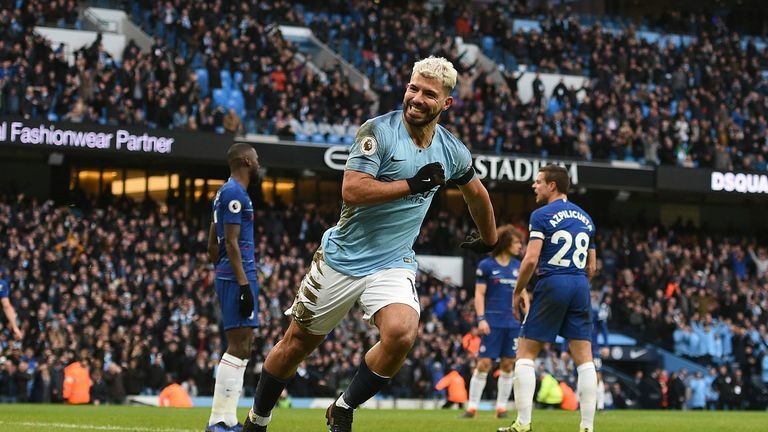 In his last seven appearances against Chelsea, Aguero has scored 10 goals, as well as picking up one red card in City's 3-1 home defeat to the Blues in December 2016. It was also the Argentine's second hat-trick against Chelsea, the previous one was scored in a 3-0 win at Stamford Bridge in April 2016. Aguero has now scored 41 goals in 66 Premier League games against rivals from the 'big six', while in his last 16 Premier League starts at home, he has scored 25 goals - as well as notching in each of his last seven Premier League home starts - the last two being hat-tricks. MARTIN SAYS: Spurs beat Leicester 3-1 on Sunday to stay within five points of the leaders at the top of the table, and all this while losing six league games already this season. Looking back through the history books, though, Mauricio Pochettino's side could in theory still lose again this season and be crowned champions, as Blackburn Rovers did in the 1994/95 campaign. On that occasion, the last 42-game Premier League season, Blackburn suffered seven defeats and still won the league by a point from Manchester United, who themselves lost six times on their way to being crowned champions in 1993, 1996 and 2001. 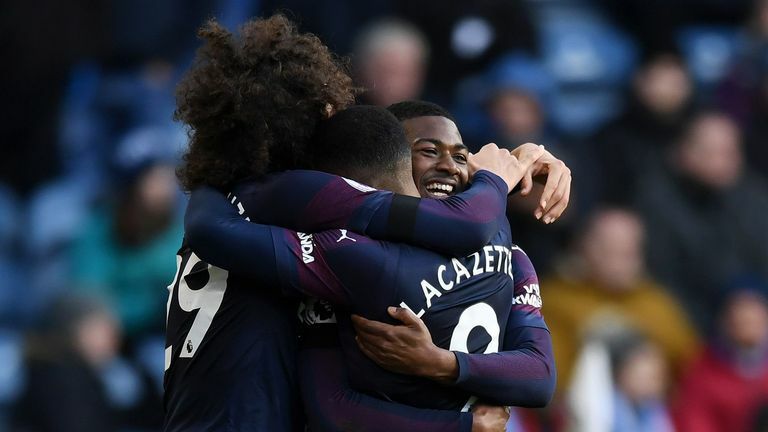 Meanwhile, the likes of Arsenal (1998), Chelsea (2010) and Man City (2014) have also all been beaten on six occasions and gone on to lift the Premier League. MARTIN SAYS: Sead Kolasinac's assist for Alex Iwobi's opener at Huddersfield on Saturday was the left back's eighth since he made his Premier League debut for Arsenal in August 2017. However, in that same period, Liverpool's Andy Robertson leads the way with 11 assists from his left-back berth, with Watford's Jose Holebas just one behind on 10. And joining Kolasinac on eight assists are his team-mate on the opposite side of Arsenal's defence, Hector Bellerin, and Tottenham's England right-back Kieran Trippier. MARTIN SAYS: Aguero's hat-trick against Chelsea followed hot on the heels of his three goals against Arsenal at the Etihad the week before, meaning the striker has now joined four other players to have accomplished the feat of scoring successive Premier League trebles at home. Blackburn's Alan Shearer was the first to do so against Nottingham Forest and West Ham (November and December 1995), while Didier Drogba managed it against Wigan, when his hat-trick helped Chelsea win the league in May 2010, before the Ivorian recorded a treble against West Brom on the opening day of the following campaign. Liverpool's Fernando Torres also registered successive hat-tricks at Anfield against Middlesbrough and West Ham in February and March 2008, although Thierry Henry is the only player to have done it twice. The first occasion was in April 2004 against Liverpool and Leeds - when he scored four times - as Arsenal closed in on the title, while the Frenchman also achieved it a year later against Portsmouth and Norwich. However, when it comes to recording consecutive hat-tricks away from home, then only Arsenal's Ian Wright - against Ipswich and Southampton in 1994 - and Spurs' Harry Kane - against Leicester and Hull in 2017 - have ever managed such a thing. MARTIN SAYS: Aguero's ninth Premier League hat-trick at the Etihad is indeed a record for one stadium, beating the previous record that he had jointly held with Thierry Henry. The Arsenal forward had managed eight trebles at Highbury, Blackburn striker Alan Shearer got seven at Ewood Park, Liverpool frontman Robbie Fowler recorded six at Anfield and Manchester United forwards Ruud van Nistelrooy and Dimitar Berbatov both registered four at Old Trafford. Incidentally, Aguero has also now moved level with Shearer on 11 Premier League hat-tricks in total, although the latter also scored a First Division hat-trick for Southampton against Arsenal in April 1988. MARTIN SAYS: Aguero's hat-trick against Chelsea on Super Sunday means the Argentine has now been involved in 201 Premier League goals - including 41 assists - in just 229 games since joining Manchester City in July 2011. However, Aguero is still some way short of the overall Premier League record held by another striker playing for a different club in Manchester, Wayne Rooney, who was involved in 276 goals (183 goals and 93 assists) for United in 393 matches. Others to feature in this category are United's Ryan Giggs (271 - 109 goals and 162 assists in 632 matches), Arsenal's Thierry Henry (249 - 175 goals and 74 assists in 258 matches), Chelsea's Frank Lampard (237 - 147 goals and 90 assists in 429 matches) and Liverpool's Steven Gerrard (212 - 120 goals and 92 assists in 504 matches). 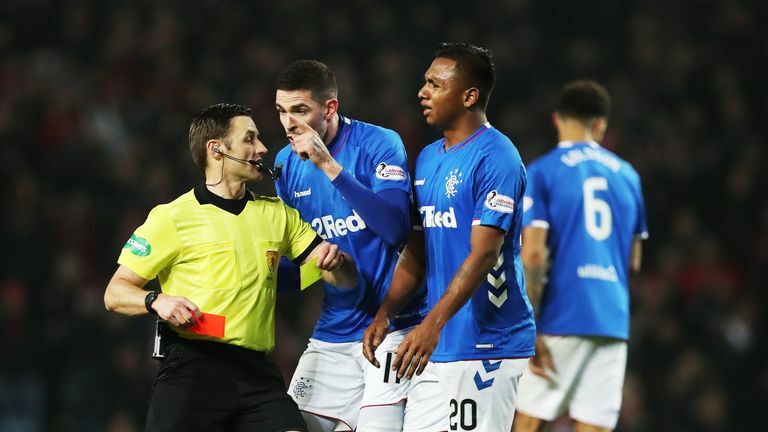 MARTIN SAYS: Sadly, our friends at Opta cannot give us a definitive answer, however, what we can tell you is it is not the first time such an extraordinary scenario has happened before! Tough-tackling York midfielder Nigel Pepper was also sent off three times against Darlington in the 1990-91 season, twice in the league, playing in the old Third Division, and once in the FA Cup.